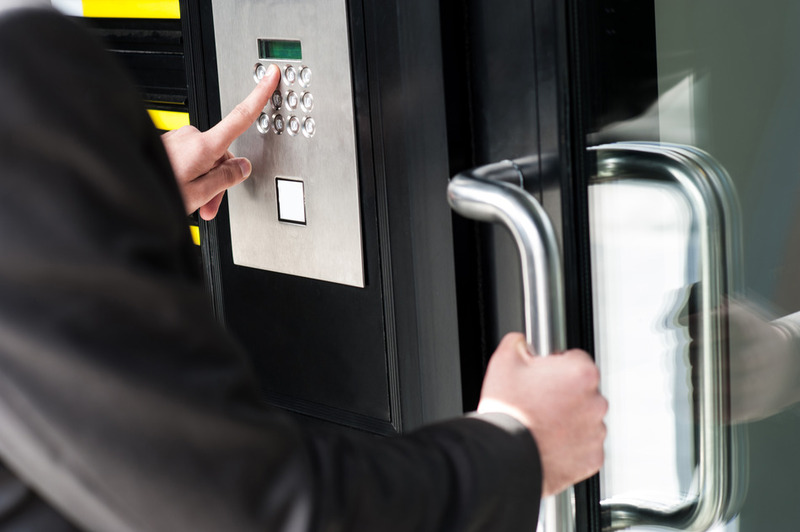 Security Solutions » A-1 Door Specialties, inc.
Security solutions include access control, such as card, key-fob, or keypad access…electronic locking…and emergency lockdown capability. These are solutions much sought after by medical facilities, schools, airports, technical businesses, factories, banks, hotels / motels, and more than a few public office buildings. Many times, with our automatic-door packages, security solutions are integrated with the door. Other times, they must be retrofitted to a non-secured automatic door, and we specialize in doing that. We offer security solutions for standard, manual doors, too. Contact A-1 Door, or call us, toll-free, 24/7, at 800.589.2136. And find the security solutions that work best with your facility’s automatic doors and other accessibility-related products.